Have you looked into life insurance? It’s likely you haven’t. Most Americans know they should get life insurance, yet do nothing about it. According to a study by LIMRA, only 44 percent of American households had life insurance in 2010. That’s more than 50 percent of people who are leaving their loved ones unprotected and unprepared for the future. Term life insurance can offer protection for families when their loved ones unexpectedly pass away. But many people forgo it because they think it’s too expensive or too confusing. Fortunately, life insurance is much more inexpensive than many realize. Don’t leave your family and your future without a plan – term life insurance is affordable, and it could be even cheaper thanks to new changes. Here’s what you need to know. One of the leading reasons people don’t get life insurance is a common misconception about how much life insurance costs. According to the 2015 Insurance Barometer Study conducted by LIMRA and Life Happens, millennials estimated the cost of life insurance to be 213 percent higher than what it really costs. Similarly, people in generation X also overestimated the cost of life insurance by 119 percent of its average price. 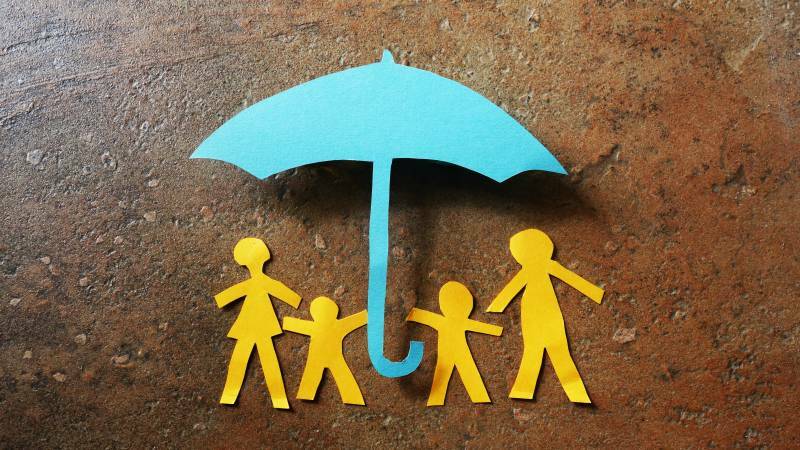 Overall, the study found that 80 percent of consumers overestimate the cost of life insurance. Instead of purchasing life insurance, many people think they need to prioritize other expenses, but in reality, it’s an expense that won’t break the bank. There isn’t a federal agency that regulates the sale of life insurance. Instead, the regulations that govern policies and the licensure of insurance agents vary from state to state. During the underwriting process, several factors are considered when the companies provide you with a premium quote. They will consider your age, health status, driving record, and credit. While the state in which you live is not a factor in determining your life insurance price, the price can still vary. This is because each state has its own regulations. Those regulations are exactly why life insurance prices are falling. The states used to mandate that life insurance companies calculated the amount of money they needed to keep on hand in order to pay out claims, and some states required higher cash reserves than others. This meant people in those states had higher premiums. However, the NAIC reports that 47 states adopted a new model called principle-based reserving on January 1, 2017. Principle-based reserving allows insurance companies to correct for large surpluses in their reserves. By allowing for greater flexibility, the premiums for new term life policies are expected to drop. There are several ways to save money and get the cheapest life insurance rate possible. Make certain to comparison shop by searching online, comparing prices, and asking for special rates. You can also secure better rates by only purchasing the amount of life insurance you need. You should have enough life insurance to replace about 10 times your annual salary. Finally, if you’re able to pay your life insurance’s annual premiums in a lump sum, you’ll pay less – life insurance companies add fees to monthly premium payments. Having life insurance in place is important for absolutely anyone. You don’t want to leave your family facing debt, expenses, or other costly events without you – and life insurance provides you and your family protection for the future. Life insurance can provide an important financial safety net, allowing you to feel confident that your family will be provided for if something happens to you unexpectedly. To find out what rates you might expect, you can start your search by conducting your own research online. Interested in finding the latest life insurance options? Start a search today.